Here’s another date for your diary: Grantham’s first ever vintage fair, organised by Bea’s Boutique, takes place on Saturday 10 May. With more than 30 stallholders selling vintage clothes, homeware, children’s new and pre-loved clothes and toys, shabby chic furniture, decoupaged gifts and other handmade items, Bea’s Vintage & Craft Fair is at the Jubilee Church Life Centre, from 10am to 4pm. 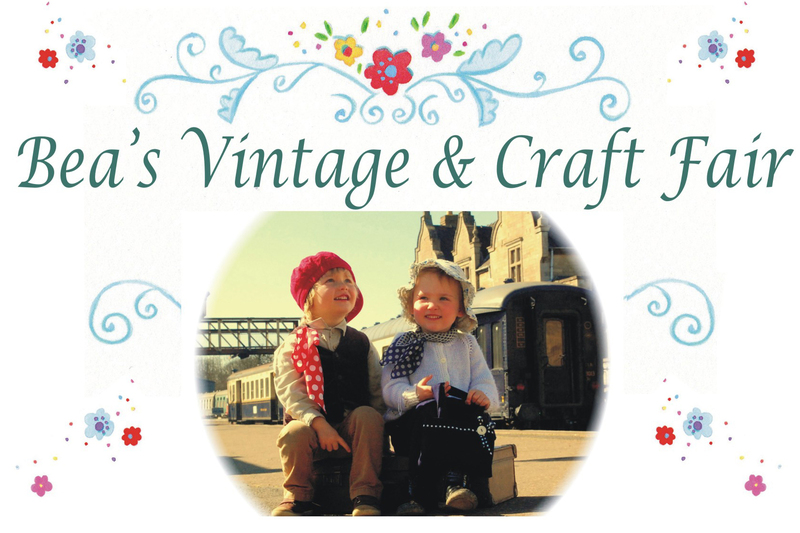 There’ll be live music and Emma Payne from The Vintage Head in Newark will be on hand too, transforming ladies into 40s film stars, complete with Victory Roll hairdos, makeup and false lashes. And while you’re there, why not take Tea with Bea in the pop up vintage tea room? Traditional cream teas, scrumptious Victoria sponge and other tempting treats, served up on vintage china – what’s not to like?! Admission to the fair, at 5 London Road in Grantham (NG31 6EY for satnav users), is just 50p – for more details call 07888 679118.